On Saturday August 8th from 2pm the team of Optimal Chiropractic will transform ‘the green’ in front of their office on Station Road in Ballincollig into a playground of fun and activity. 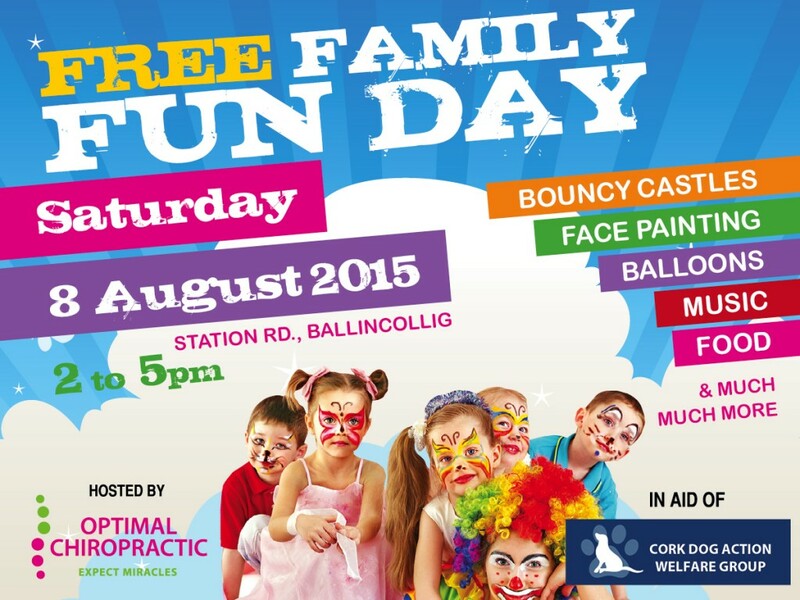 This free event, in aid of Cork Dogs Action Welfare Group, includes live music by Terrie- Maye McNulty of Red Effect, along with a variety of activities for kids; colouring competition, face painting, bouncy castles and more. Guests to this free event can avail of a free spinal check from Dr. Ben, a complimentary Holistic Healing from Noreen Kiely or a taster treatment from Lorna Jean Therapies. You can follow our event page here on Facebook for the latest updates.